Welcome Ron Donalson to the family! Florida Agency Network proudly welcomes Ron Donalson to its expanding team. In 1982, Ron and his business partner Tommy Alday established Alday-Donalson Title Insurance. For over 29 years, they worked and grew Alday-Donalson to become one of the largest and most respected independent title insurance agencies in the State of Florida with 20 offices throughout the Tampa Bay area. After the tragic passing of his partner, Ron joined Universal Land Title as Director of Marketing, which was later purchased by First American Title in 2014. Ron served in the US Army and was awarded the Bronze Star for his tour in Vietnam. In his spare time, he enjoys traveling, scuba diving, and spending time with his 9 grandchildren and 1 great-grandchild. He is a 32 Degree Mason and has served as Honorary Deputy for the Hillsborough County Sheriff ’s Department for over 20 years. 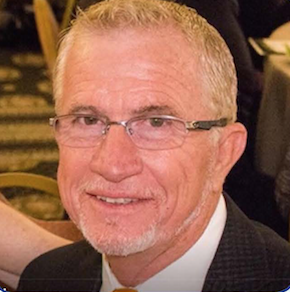 The Florida Agency Network is excited to have Ron on board to help grow its statewide footprint of title agencies, provide mentorship and guidance to the Marketing Team, and carry forward the tradition of providing excellent customer service to our clients, while serving our industry and community.